The business started by Clive and Katherine Gainard in 1978. At the time they lived in Timsbury near Bath and formed the company “Timsbury Preservation Services”. Subsequently they moved to Frome and kept their company name because of the good reputation already achieved. 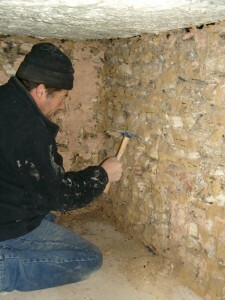 In September 2008, they sold the company to Steve Shearn who now plans to build on Timsbury Preservation Services’ reputation and has already become an approved installer of Permagard Products Ltd and Remmers (UK) Ltd.
Steve has retained Clive in a consultative capacity. Being able to call on Clive’s huge knowledge and experience is proving a major benefit to the company. Another major benefit to the company is Steve’s employee, Steve Martin, who has over 20 years’ experience working with Clive.